Do you ever wonder what our favourite maknae does backstage whilst waiting to perform ? Why, she spends the time upgrading her mind, of course 🙂 ! Our dear Seohyun recently posted some extremely cute selca images of herself backstage, during the recent SM Town Tokyo performance that the Girls were recently involved in, on her Japanese Fansite webpage. In addition to the gorgeous photos, she also posted a short message giving details of what she was doing then when the photos were taken (apparently she was studying ;)). I must say that Seohyun is such a positive character example to SONEs everywhere :D. Do read on and see what she had to say to her Japanese oppa and unnie fans. Hello everyone on the fansite! I’m Seohyun. 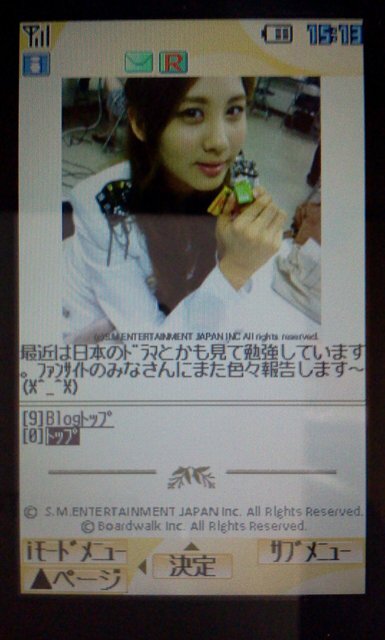 This picture is of when I was studying Japanese backstage during the SMTOWN Tokyo live. I have an exclusive notepad just for studying Japanese. I’ll do my best! This is the Lipton campaign good sound strap that I received when I appeared on the CM (commercial). Recently I’ve been studying by watching Japanese dramas. I will report various things to everybody on the fansite again! nice! nice! 😀 good post. Wow she’s really a genius, uh? 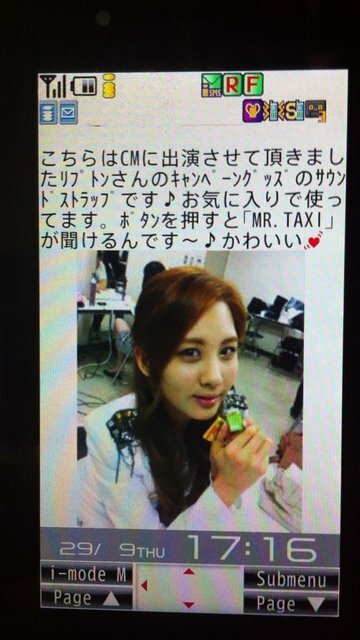 Maknae make full use of the time to study Japanese even during concert’s breaktime..
so proud of u seobby. you’re doing damn well! you can do it seohyun! Naww maknae diligently studying even when on a break during a concert lol.